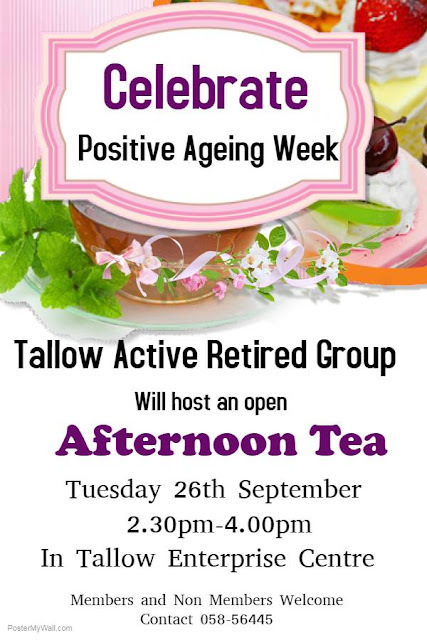 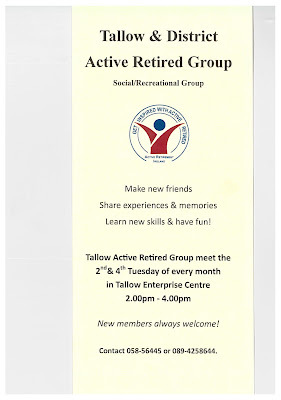 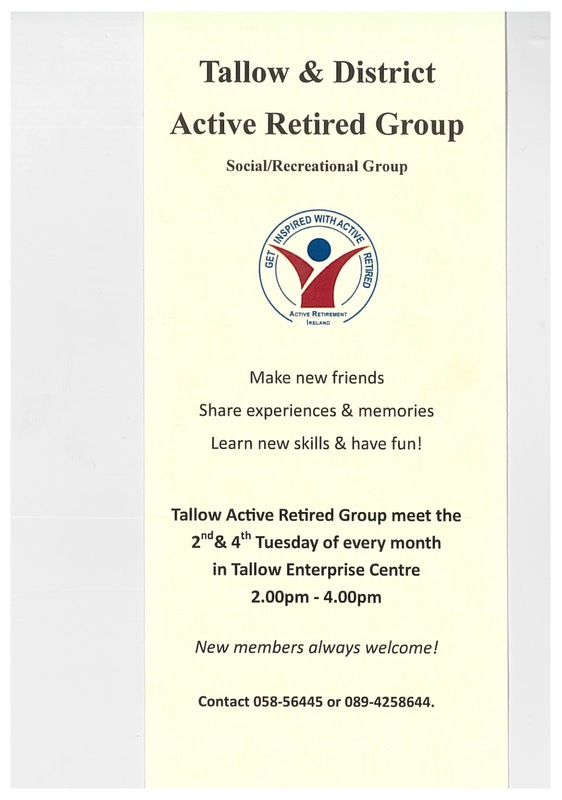 Tallow Active Retired Group enjoyed their demonstration of "Smovey" Health with Irene Treacy. 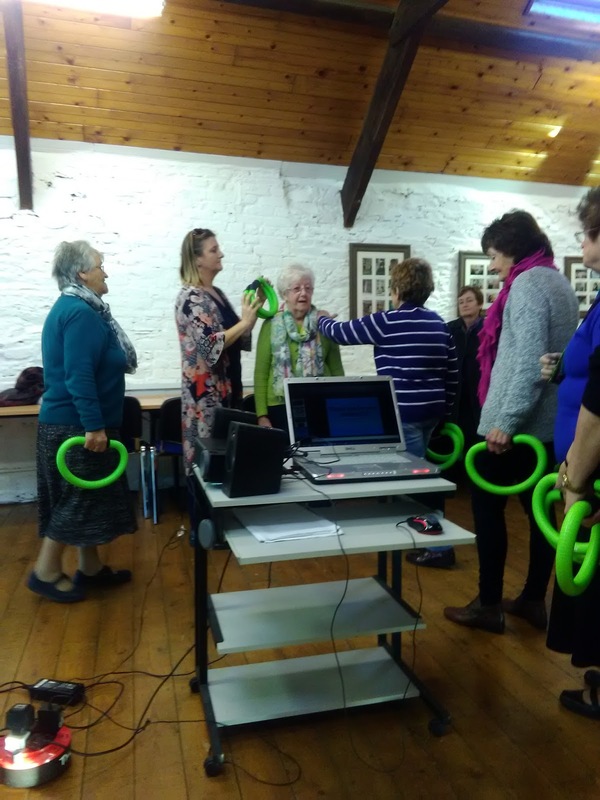 Smovey, sends calming messages up the arms, neck and into the brain giving more energy with a lovely relaxed feeling, relieving stress and strains. The vibration therapy gives brilliant benefits. 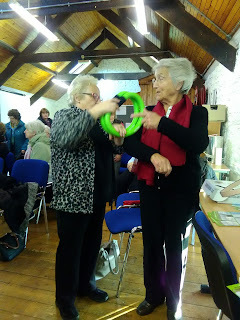 The ladies all enjoyed the afternoon as did the visiting ladies from the other Active Retired Groups who visited on the day. 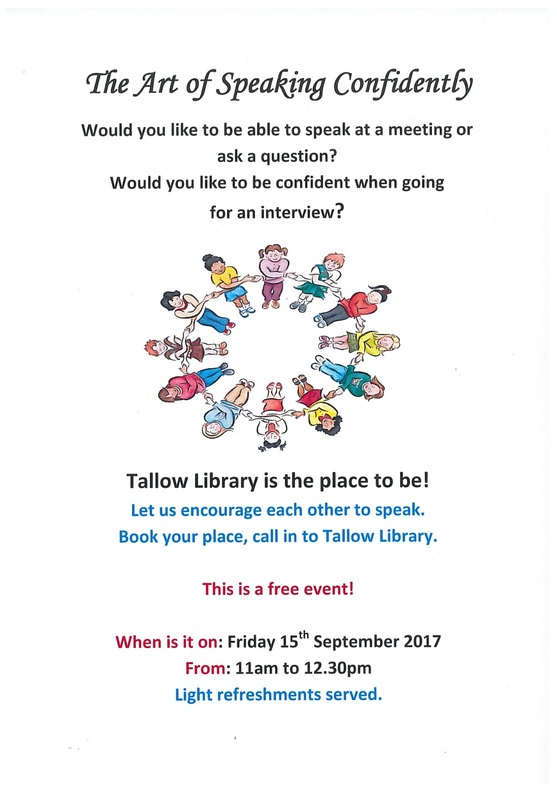 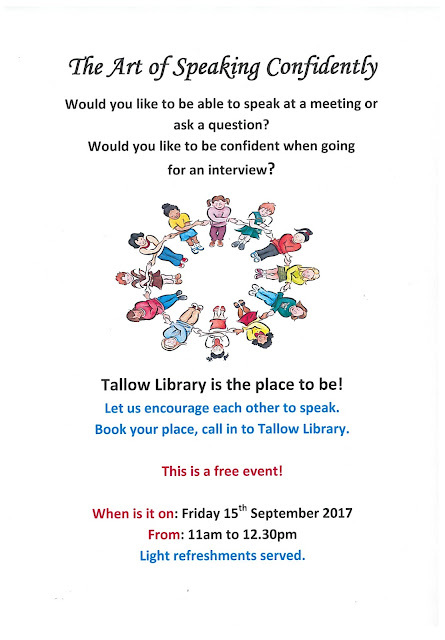 If you want to learn how to speak with confidence or to ask a question at a meeting, come to Tallow Library on 15th of September, for this free event. Tallow Horse Fair will be held on Monday 4th of September this year. 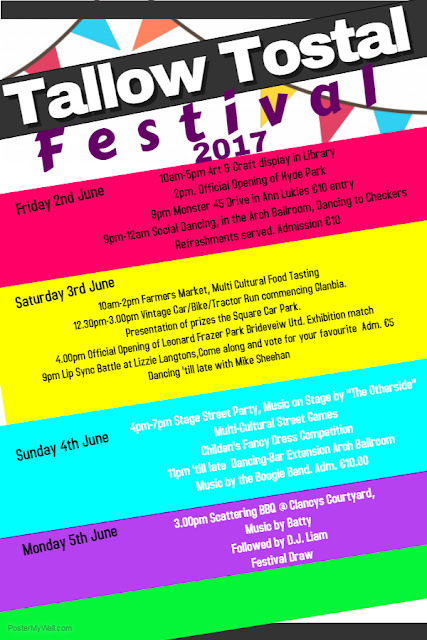 Established in 1910 it is now one of the oldest fairs in the country. 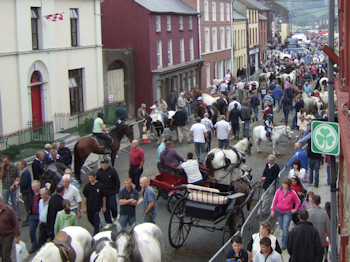 Enjoyed by locals and visitors it sees the town transformed for the day with traders and horse breeders and sellers coming from far and near. 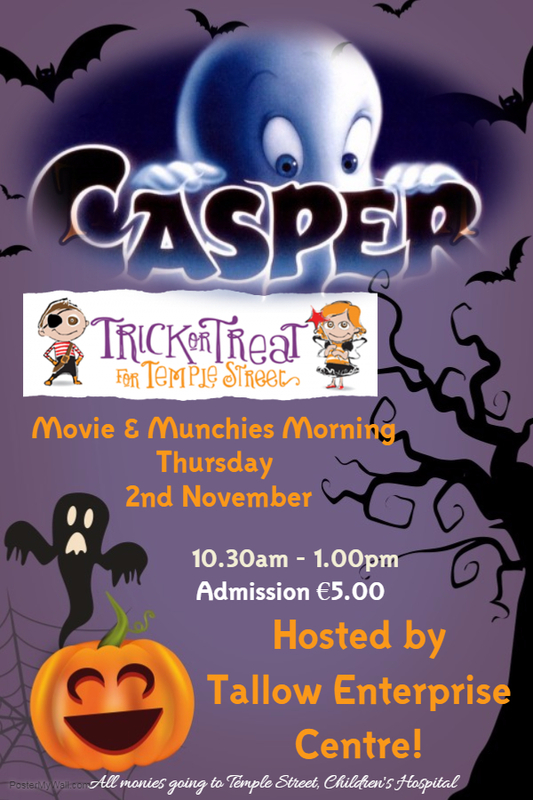 Thursday 10th August sees the first of our Movie Mornings in Tallow Enterprise Centre! 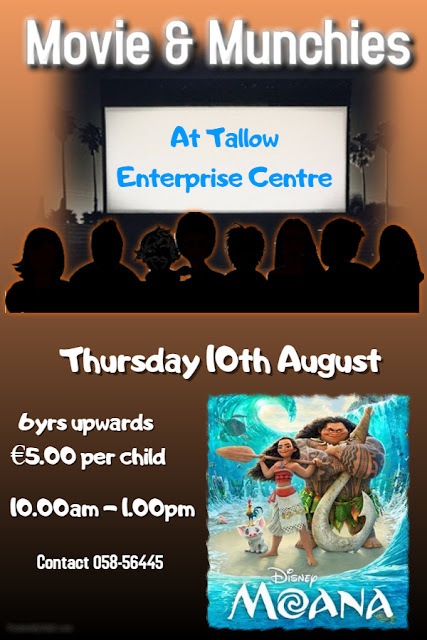 We will be showing Disney's Moana - 10am to 1pm. All kids aged 6 years plus are welcome. Munchies and drink included. 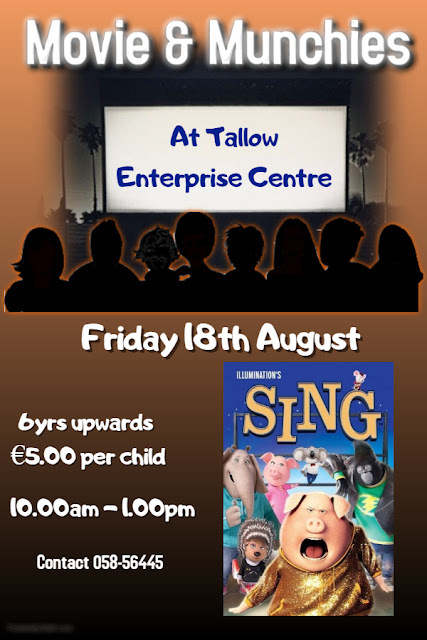 Please contact 058 56445 to book a place. 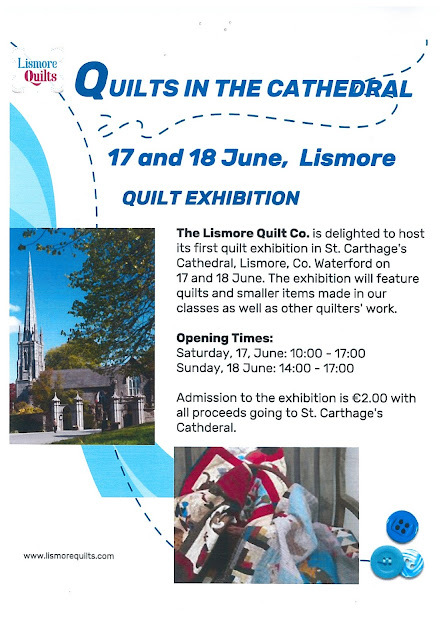 The Lismore Quilt Company will host its first quilt exhibition in St.Carthage's Cathedral, Lismore on June 17th and 18th, Sat 10am to 5pm and Sun 2pm to 5pm. 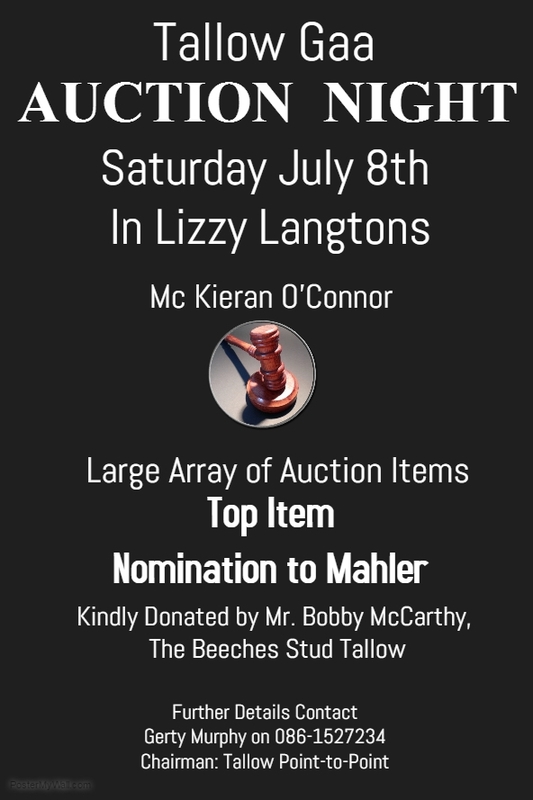 Tallow GAA will host an auction on July 8th in Lizzy Langtons, with some fabulous items on offer for eager bidders. 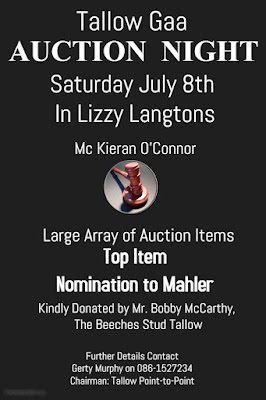 The main item is a nomination to Mahler, donated by Mr Bobby McCarthy, of The Beeches Stud, this is one for the Equine enthusiasts in the area. 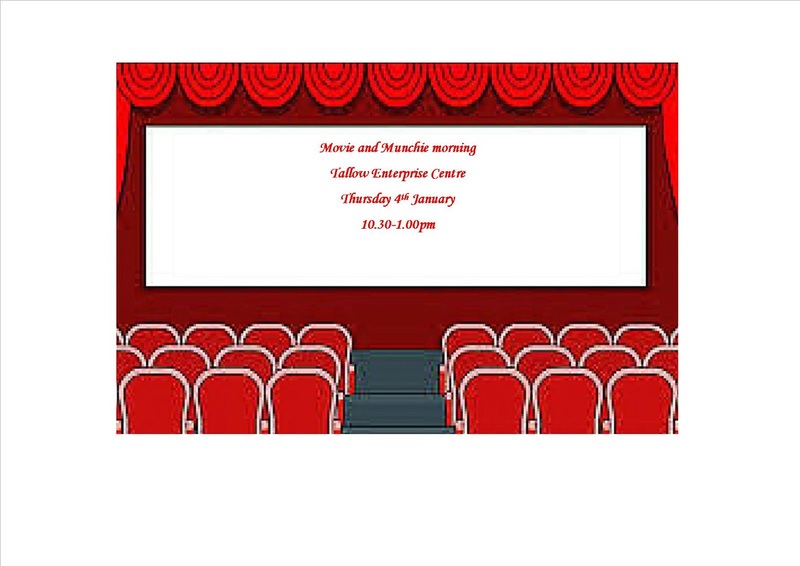 Watch this space for further details of other auction items in the coming weeks. 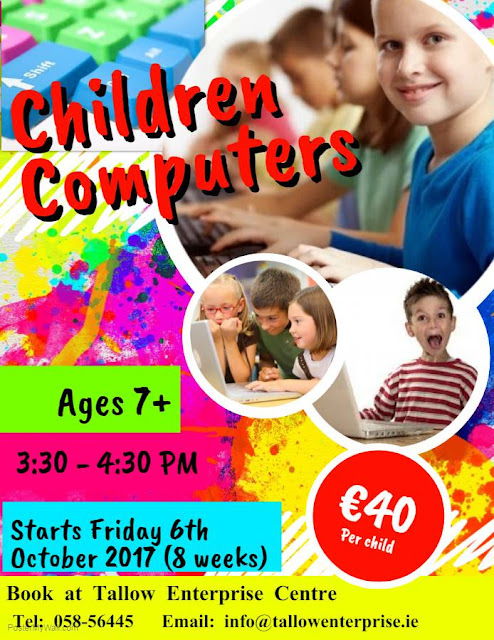 - Choose from Crafty Kids or Computer Fun. 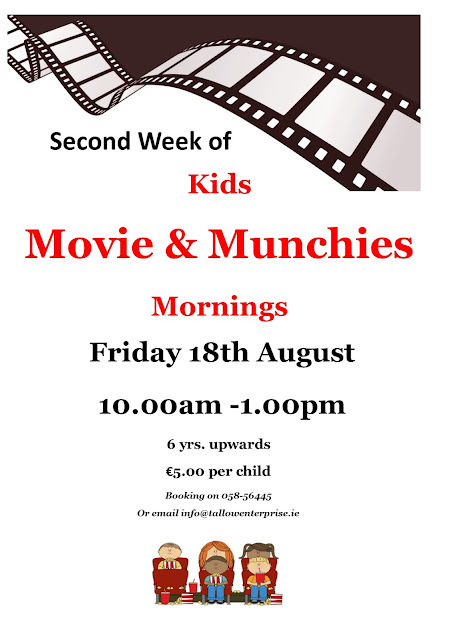 Mornings 10 - 12.30 - Age 8 years upwards. 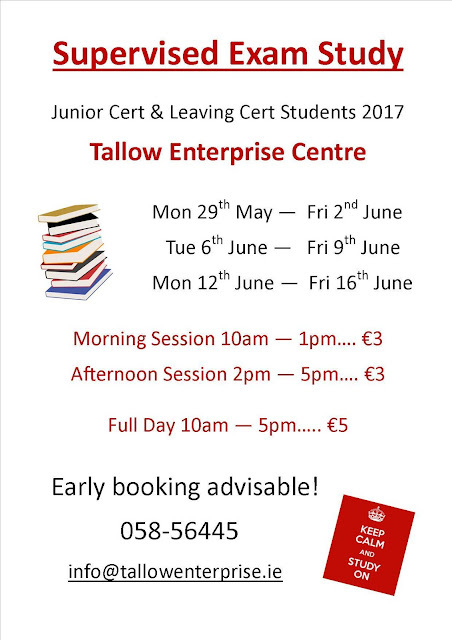 Places filling up fast! 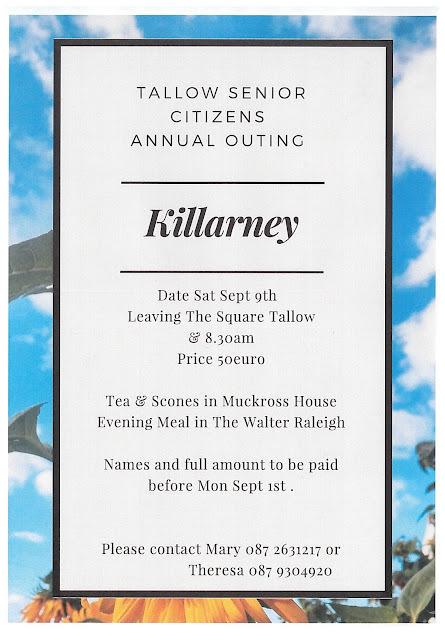 Contact us on 058 56445 to book. 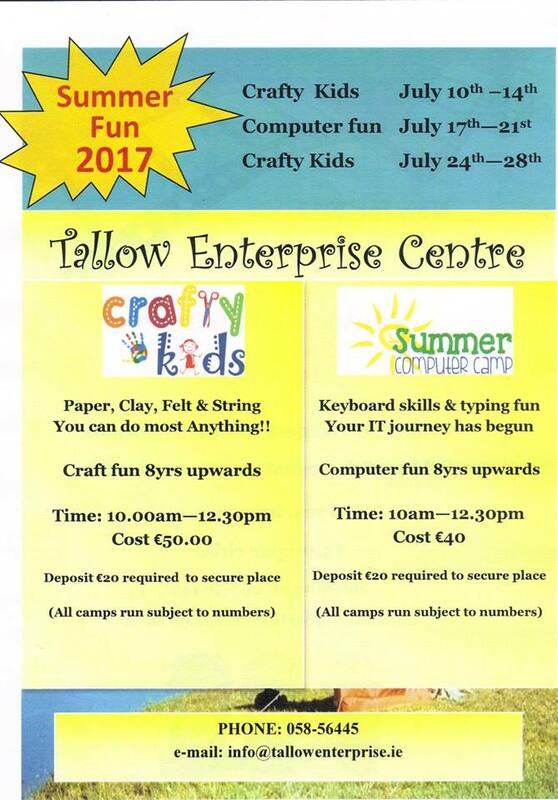 Tallow Tostal Festival starts on Friday 2nd June and finishes on Monday 5th June. A great weekend assured - not to be missed! 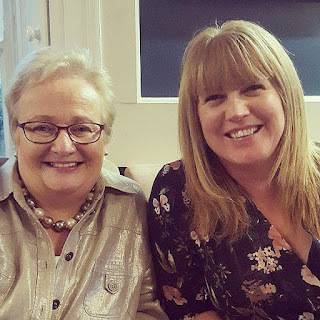 On Friday last May 19th, Tallow Enterprise Centre Manager Geraldine Cogan retired. Geraldine was at the helm for 17 years and in that time saw many changes both in the Centre and in Tallow. 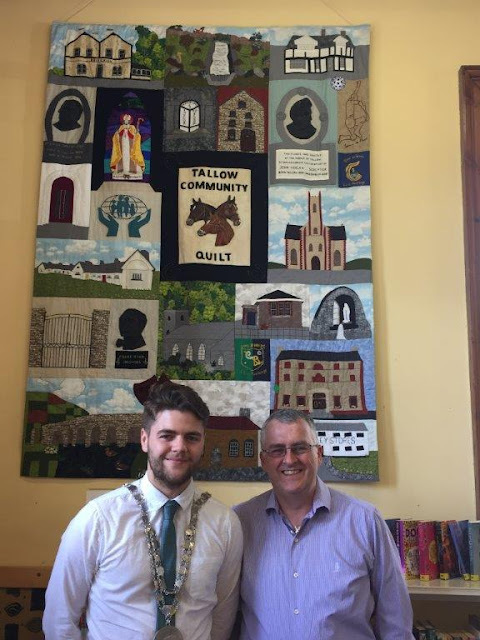 Geraldine stayed a step ahead of what was needed in the community and endeavoured to provide a wide range of classes and activities to suit all needs, including the set-up of the local Active Retirement Group and organising the group who completed the beautiful Tallow Community Quilt. The Board of Management and staff would like to wish Geraldine a very happy retirement. 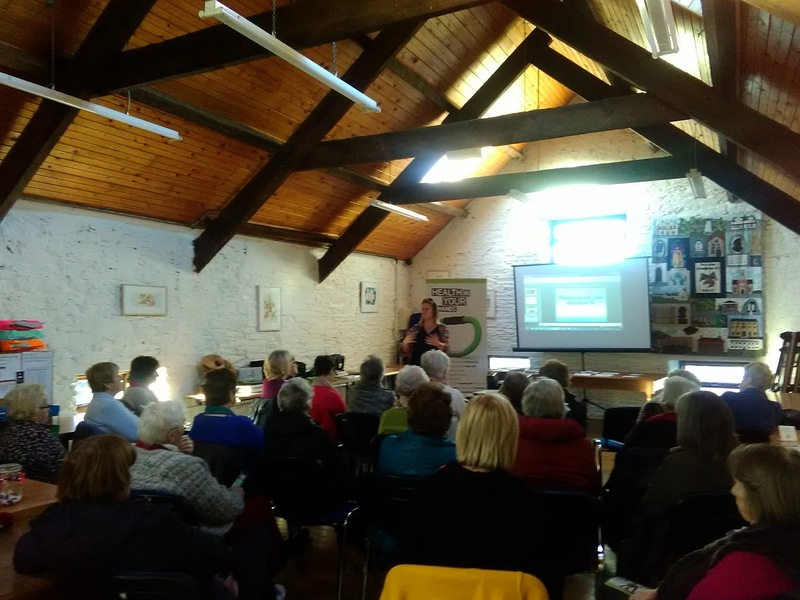 Sean Tobin Chairperson of the Board said in his speech at Geraldine's retirement party that she “took ownership of the centre from her first day and was an inspiration to all who had the pleasure to work with her”. 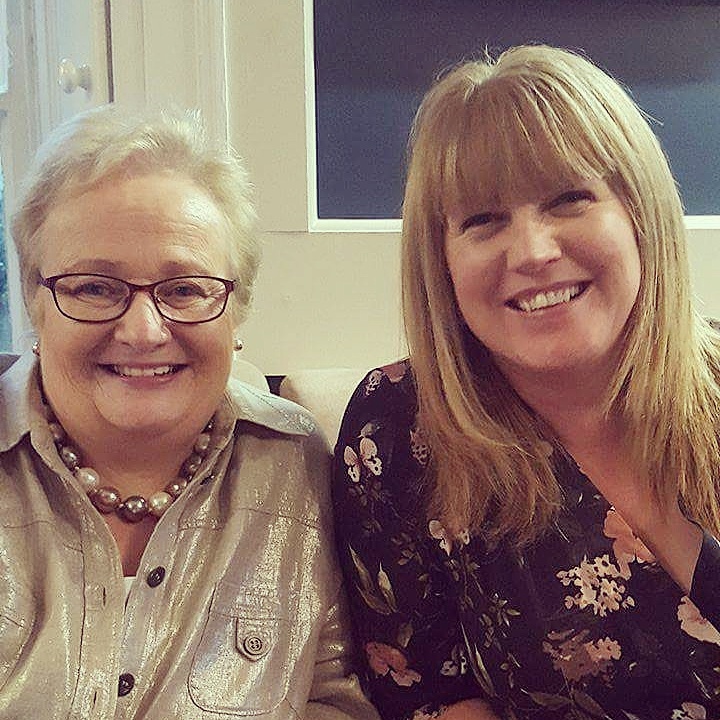 The Board would like to congratulate Aisling Curran on her appointment as new manager and to wish her well for the future. 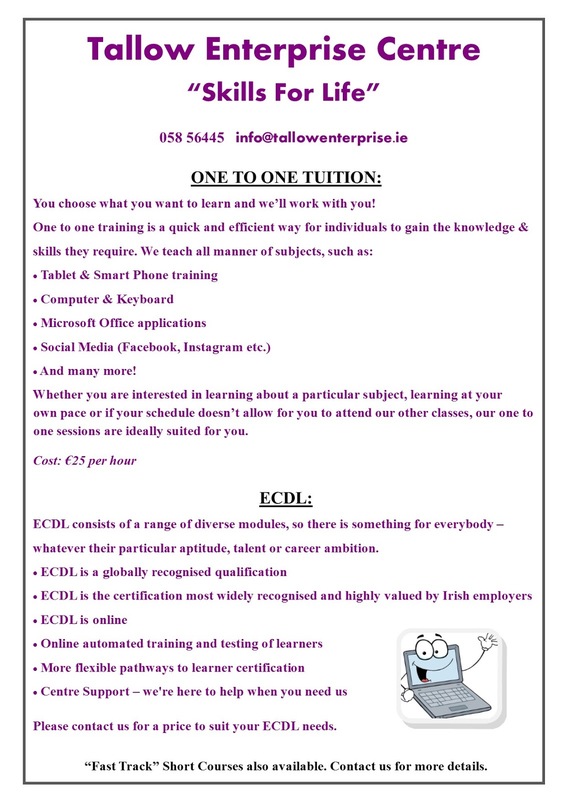 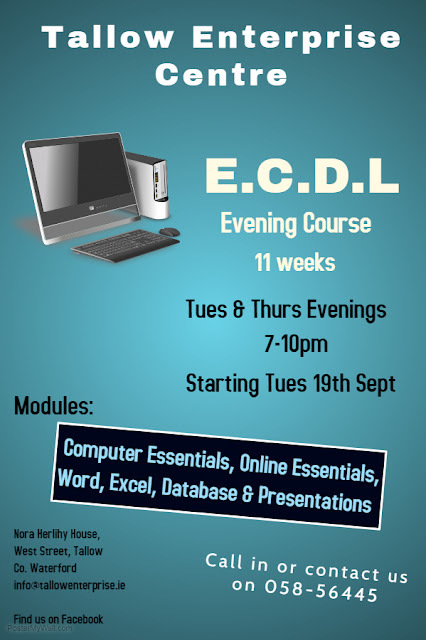 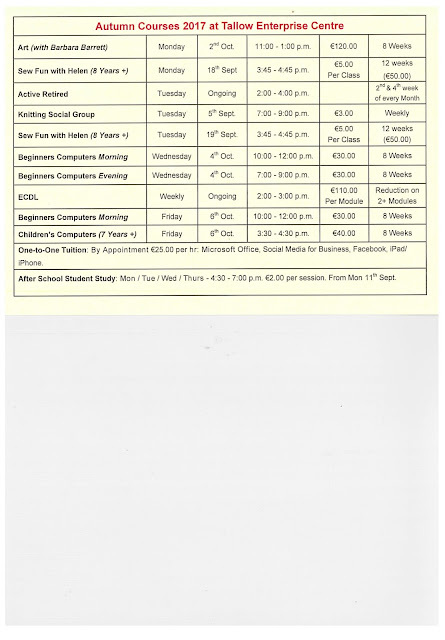 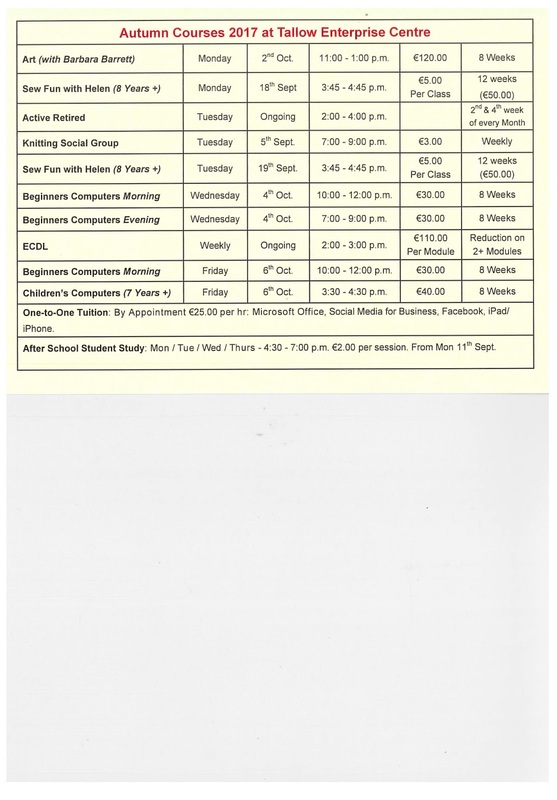 One to One Tuition and ECDL Modules available at the Enterprise Centre! 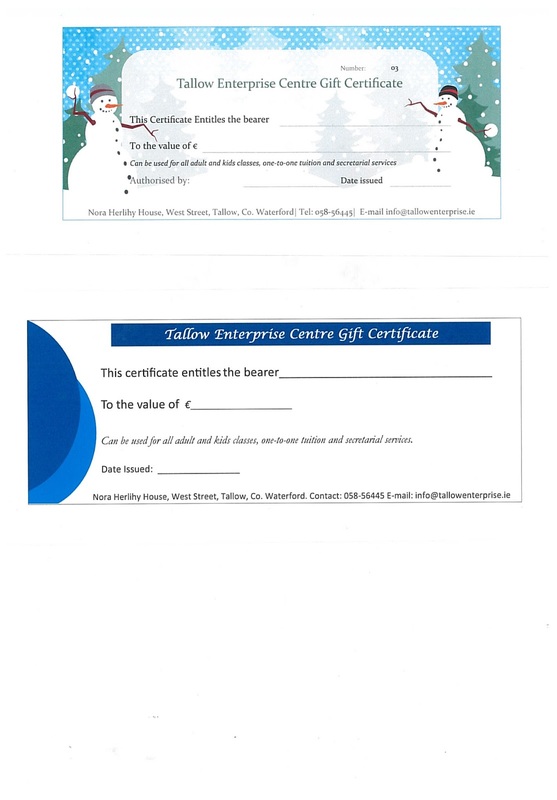 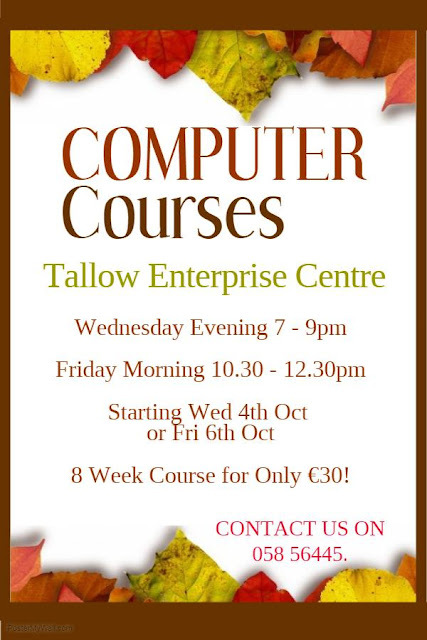 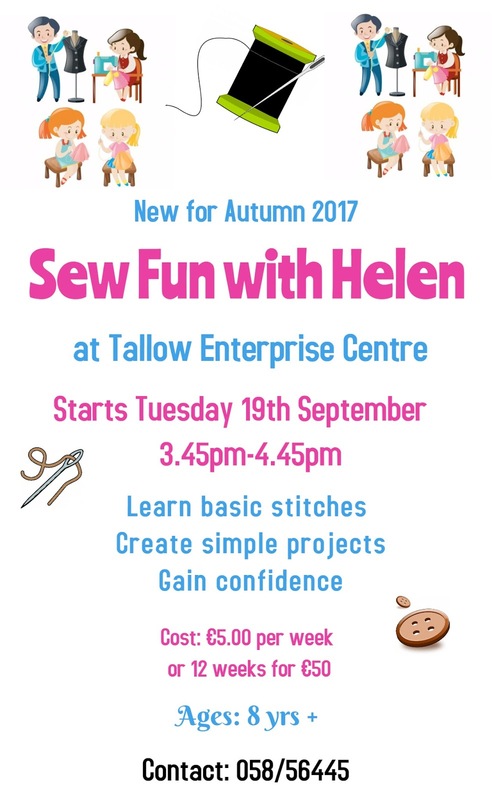 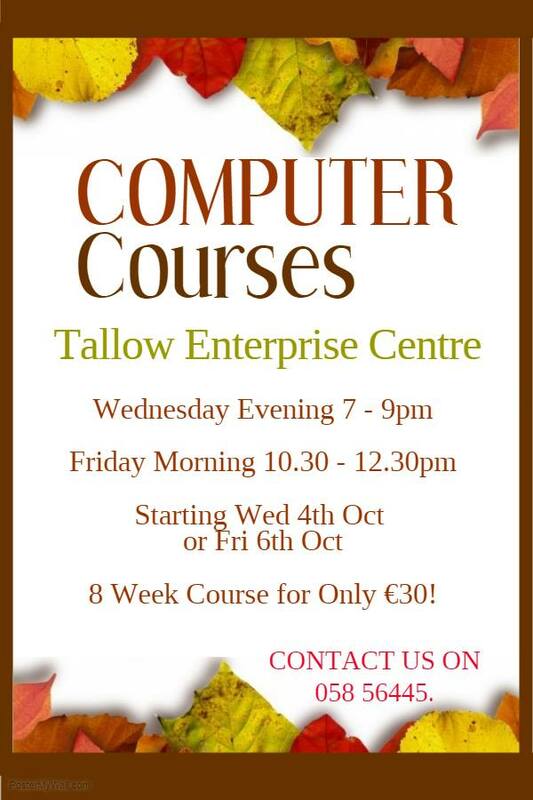 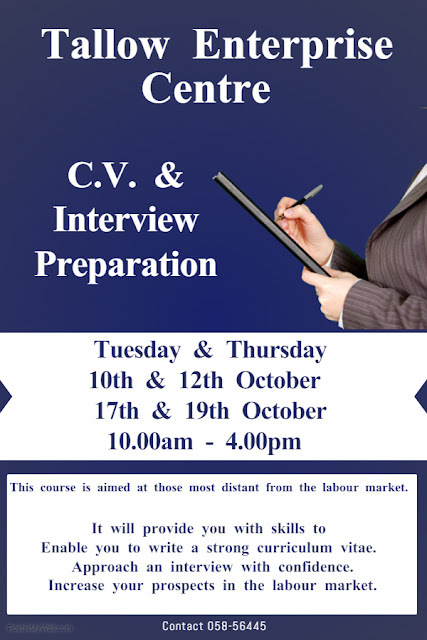 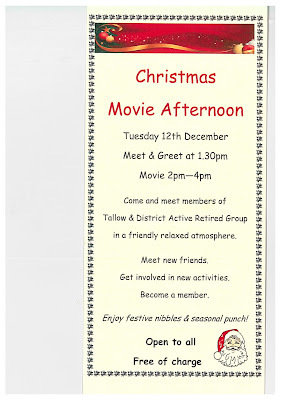 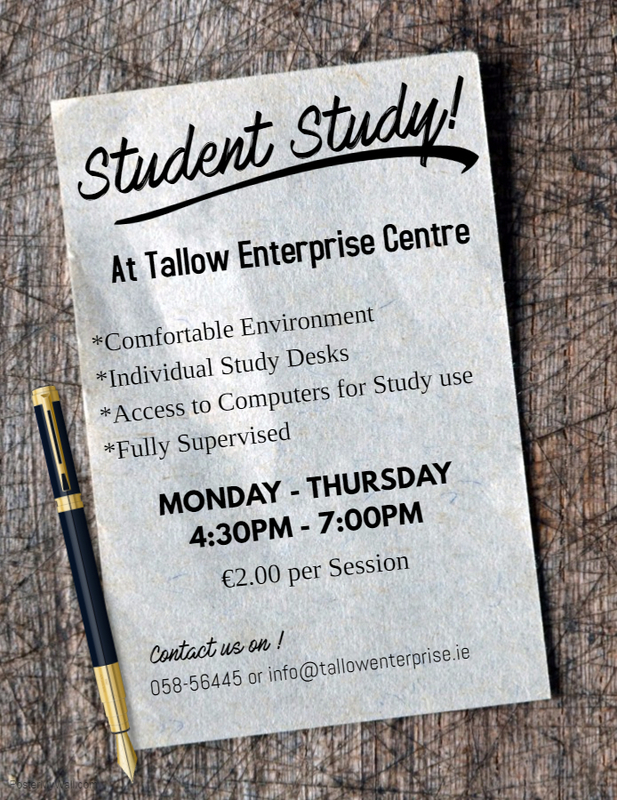 Please contact us on 058 56445 or info@tallowenterprise.ie for more details.